That's on on CBS Reality. You should have posted it on the, "Ruin whatever movies are on the CBS Reality channel tonight," thread. Oh, no, sorry, that's actually what it's called. According to the Radio Times website there's nothing on on the Horror Channel - Freeview Channel 70 today! 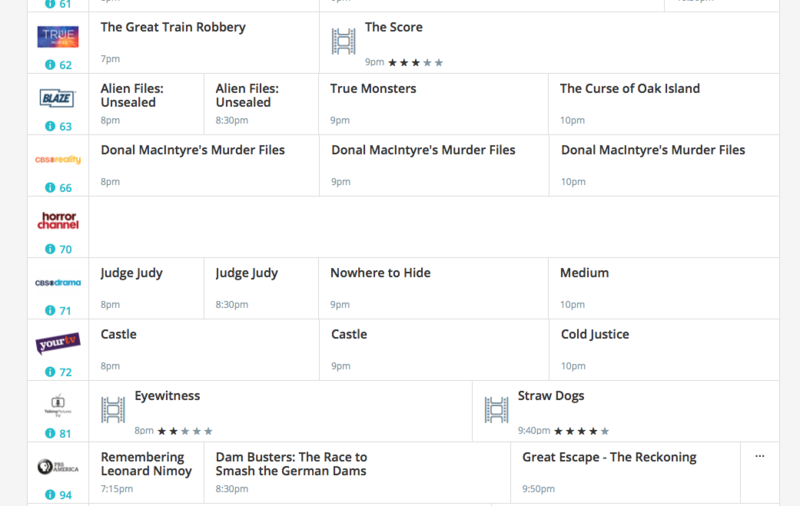 Still nothing on on the Horror Channel - Freeview Channel 70 according to the Radio Times! Its shows must be too terrifying for the Radio Times to dare to list them. I forgot about this in the excitement earlier, but my new TV shows the Horror Channel! It was showing Aclopaclips Earth earlier, but it happened to be on the adverts when i passed by, so I skipped over it. I've just been watching a bit of that pilot Star Trek ep, the one where everyone's a stranger except Mr Spock, on the Horror Channel. Mr Spock's unexplained limp in that is always a matter of concern to me.